Wait, Why Is The CDC In Atlanta? 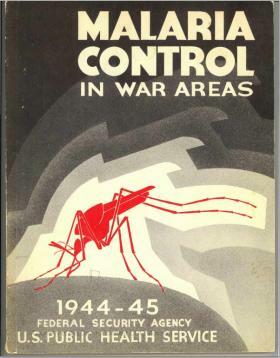 The Malaria Control in War Areas Program, the predecessor of the Communicable Disease Center (CDC). While the deadly Ebola outbreak in West Africa didn’t spread anywhere near Atlanta, it still has brought our city into the headlines. That’s because organizations in our region have become leaders in the fight against it. One of these is, of course, the Centers for Disease Control and Prevention – or the CDC. If you’ve lived in the area for a while, you’re probably used to Atlanta’s hometown government agency showing up in the news, especially when a disease breaks out. But have you ever wondered why it’s based here in the first place? To find the answer, we have to go back to a time when the U.S. was home to a number of deadly diseases, including malaria. WABE’s Stephannie Stokes has the story of how the CDC began. Listen to that story below. Today, we may think of malaria as something that only affects far away countries. But back in the early 1940s, malaria was still part of life in the Southeast. That became a big concern when we were headed off to fight in the South Pacific in World War II, because many training bases were in the south. The government didn’t want soldiers getting sick before they even went into battle. It also didn’t want soldiers bringing back the disease when they finally returned home. So the U.S. set up a program called the Malaria Control in War Areas, or MCWA, to prevent the spread of malaria. And, as CDC museum director Judy Gantt explained, they put its headquarters here in Atlanta. But once these skilled disease fighters were all concentrated in the South, some officials realized the value of a permanent organization devoted to communicable diseases. One man in particular pushed this idea–Joseph Mountin, Chief of the Bureau of State Services of the Public Health Service–and, when the war ended, he got Congress to approve the new agency. “Several names were bandied about and it was finally decided that it would be called the Communicable Disease Center,” Gantt said. While it’s a slightly different name than we know today, you’ll notice it has the same acronym – CDC. A year after it was founded, in 1947, the head of Coca-Cola Robert Woodruff helped find space for this new federal organization. He organized a deal with Emory University in which it would give the CDC 15 acres of land on Clifton road in exchange for just $10. “The story is that the word went out to all the employees of CDC to contribute a dime to pay Emory for this 15 acres of land for $10,” said Gantt. That’s why the organization is located right next to Emory University today. After that, the CDC really began to take root in the Southeast, hundreds of miles away from other federal agencies, like the National Institutes of Health and the Food and Drug Administration. Dr. Alan Hinman, who served in the CDC’s epidemic intelligence service in the 1960s, said it was strange that this important federal institution wasn’t based in Washington. But whatever people thought about the CDC’s location, moving wasn’t really an option. Or at least Dr. Bill Schaffner doesn’t think it was. He also served in the epidemic intelligence service – around the same time as Dr. Hinman. Since then, the CDC has kept expanding. It now takes up 45 acres of land. And it has also broadened its focus far beyond transmissible diseases to all kinds of public health issues—from obesity to smoking. But, really, it’s still doing what it did all those years ago. Whenever an entire population’s health is at risk – because of their diet or because of communicable diseases like malaria and Ebola – the Atlanta-based CDC is the one to call. Emory University and the CDC have compiled interviews and videos (including one featured in the audio story) related to the organization’s beginnings. It’s part of their Global Health Chronicles project. Find that here.